The Rodgers & Hammerstein Organization is now home to a newly launched podcast series on iTunes. 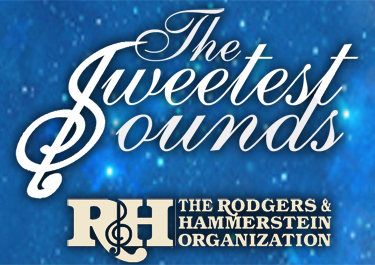 The Sweetest Sounds, hosted by R&H President Ted Chapin (except where noted), and produced by award-winning NPR documentarian Jeff Lunden, will be an ongoing series of audio podcasts highlighting the musicals and authors we proudly represent. 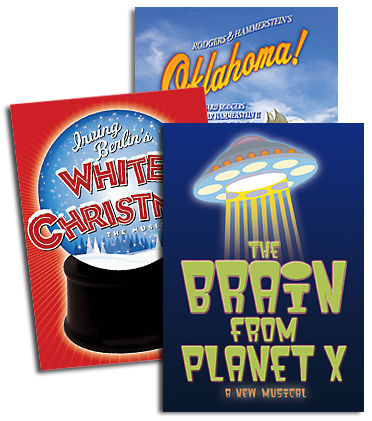 The first series features five programs focusing on four great musicals and one great musical composer: a history of Rodgers & Hammerstein’s first collaboration, OKLAHOMA! ; the making of the first complete recording of the duo’s experimental musical, ALLEGRO; a look at the Tony Award winning Broadway hit, THE LIGHT IN THE PIAZZA; the story of Irving Berlin’s “White Christmas” from song to screen to stage; and an in-depth interview with Williamson Music’s legendary composer, Charles Strouse. The Sweetest Sounds can be found on iTunes where you can subscribe to our series and download all podcasts for free. The Sweetest Sounds: ALLEGRO – Written in 1947, ALLEGRO was preceded in the R&H canon by OKLAHOMA! and CAROUSEL, and followed directly by SOUTH PACIFIC and THE KING AND I. In this podcast, hosted by Jeff Lunden, the bold innovations and experimental aspects of ALLEGRO are explored in the context of the first complete recording of its score, released by Sony Masterworks Broadway in early 2009. Album co-producers Ted Chapin and Bruce Pomahac, original production assistant Stephen Sondheim, and recording co-star Patrick Wilson participate, joined by archival interviews with Richard Rodgers and Oscar Hammerstein II, and excerpts from the new ALLEGRO recording, featuring Audra McDonald, Nathan Gunn, Judy Kuhn, Liz Callaway, Laura Benanti, Norbert Leo Butz, Marni Nixon, and more. The Sweetest Sounds: WHITE CHRISTMAS – The creation of the most popular Christmas song of all time, and its amazing journey from piano to radio to major motion picture and now, as a major Broadway musical, is told in this podcast. Irving Berlin himself shares a few remarkable insights, as does the song’s first crooner, Bing Crosby. Historian Jody Rosen, Berlin daughter Linda Emmet, and creators of the stage musical—Walter Bobbie, Paul Blake, and R&H Director of Music Bruce Pomahac—also contribute, with the narrative sparked by cover versions of the song, ranging from Crosby to Barbara Cook, to the Drifters, to the stage cast recording. The Sweetest Sounds: OKLAHOMA! – This podcast traces the story of Rodgers & Hammerstein’s first collaboration, the revelatory 1943 Broadway musical that forever changed the art form. Featuring excerpts from the revered original cast album, the beloved soundtrack, and more, the program also includes interviews with Stephen Sondheim, Mary Rodgers, original cast members Joan Roberts and Celeste Holm, historian Max Wilk, and posthumous musings from Richard Rodgers, Oscar Hammerstein II, William Hammerstein, Agnes de Mille and others. The Sweetest Sounds: A VISIT WITH CHARLES STROUSE – The legendary Broadway songwriter recently turned 80, providing an ideal opportunity for Jeff Lunden to sit with Strouse in his Manhattan study for an unforgettable afternoon’s rumination on an extraordinary life in the theater. Strouse himself guides us through a career that includes BYE BYE BIRDIE, ANNIE, APPLAUSE, and the stories behind such songs as “Tomorrow,” “Once Upon a Time” and “Put on a Happy Face.” “Born Too Late” may have been Strouse’s first #1 hit, but this podcast is just in time. The Sweetest Sounds: THE LIGHT IN THE PIAZZA – The creation of this thrilling, deeply romantic musical is chronicled by its Tony Award winning composer/lyricist Adam Guettel, his collaborating author, Craig Lucas, and Bartlett Sher, director of the Broadway production. Behind-the-scenes stories and rare musical segments performed by the songwriter himself are complemented by breathtaking excerpts from the original cast recording, including Victoria Clark’s blazing lead performance. Jeff Lunden is a freelance arts reporter and radio producer. His stories have been heard on National Public Radio’s Morning Edition, All Things Considered and Weekend Edition, as well as Studio 360, Marketplace, Weekend America, Performance Today, The Savvy Traveler and Voice of America. Since 1990, Mr. Lunden has produced numerous award winning documentaries on musical theater and Tin Pan Alley for NPR, including profiles of Richard Rodgers, Oscar Hammerstein II, Lorenz Hart, Sheldon Harnick and an award winning program on OKLAHOMA! hosted by Shirley Jones. Mr. Lunden appeared on the PBS/BBC “Great Performances” documentary on Rodgers and Hart. He is also a theater composer whose credits include the award winning adaptation of Arthur Kopit’s WINGS (book and lyrics by Arthur Perlman), proudly represented by R&H Theatricals.